Egypt’s Prosecutor General Nabil Sadek ordered late Tuesday the Ministry of Telecommunications and Information Technology to take all technical measures necessary to ban websites broadcasting sexual content or “materials that violate public manners,” Al-Ahram Arabic website reported. According to the statement issued from the prosecutor general's office, the decision comes as part of investigations into pornographic videos that spread recently online involving prominent director and current MP Khaled Youssef and two young actresses, as well him and a businesswoman. The pornographic videos that went viral featured Youssef and actresses Shaimaa El-Hajj and Mona Farouk, as well as businesswoman Mona El-Ghadban. It is unclear how the videos were leaked. El-Hajj, Farouk and El-Ghadban were arrested and accused of prostitution and inciting debauchery and obscenity online. The lawyers of the women deny the charges, saying they were married to the director during the time the videos were made. They are currently detained for 15 days pending ongoing investigations. Youssef is currently in Paris visiting his Saudi wife, artist Shalimar Al-Sharbatly, and his daughter. In a post published Sunday on his official Facebook page, Youssef slammed media outlets that spread false news and rumours about the case, especially confessions of the two actresses. This is not the first time the MP and director has found himself in hot water. In January 2017, Youssef was arrested briefly at Cairo International Airport on his way to Paris on possession of 100 Xanax pills without a prescription. He said he obtained them legally to give to his wife. 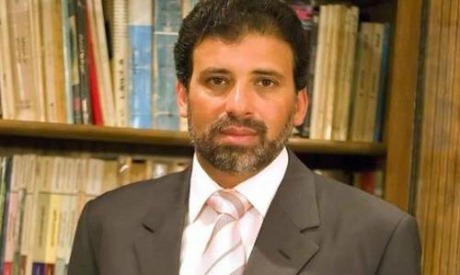 In December 2015, prominent TV host Ahmed Moussa aired images allegedly showing Youssef in “sexual situations” with a naked woman. Youssef said at the time that the images are “100 percent fabricated” and Moussa later apologised for airing “personal images” of the director. Youssef won a seat in Qalyubia governorate's Kafr Shukr constituency in the second stage of the 2015 parliamentary elections. He is a member of parliament's left-leaning 25-30 bloc and an outspoken supporter of the 25 January Revolution that toppled long-time president Hosni Mubarak in 2011. Recently he declared his rejection of proposed constitutional amendments currently under discussion in parliament.